MOSCOW/ KARACHI: (ENNS) Defending world champions Germany crashed out of the World Cup after a shock 2-0 loss to South Korea on Wednesday, courtesy of two stoppage-time goals. South Korea´s Kim Young-gwon scored in added time following a video review and Son Heung-min added another goal just before the final whistle. 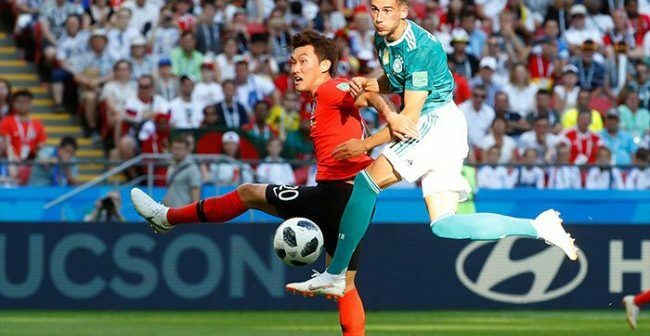 Nervous Germany increased the pressure after the break and poured forward but despite a one-sided second half they could not find the back of the net before South Korea´s last-gasp double.